« People Get Ready II is Back On! On January 23rd, Juan Guaidó, the relatively unknown head of Venezuela’s National Assembly from the right-wing Popular Will party, declared himself acting president and rejected President Nicolas Maduro’s swearing-in to a second term. President Trump and a coalition of regional allies in Latin America, anchored by right-wing governments in Brazil and Colombia, immediately recognized Guaidó as the country’s new president. It is now apparent that Guaidó had been plotting this take-over with forces in the US,, Colombia and Brazil. The US government has announced billions of dollars in new sanctions against the country’s state-owned oil company PDVSA aimed at crippling Venezuela’s economy, while cynically offering to provide humanitarian aid, and has appointed notorious cold warrior Elliott Abrams as the US special envoy responsible for “restoring democracy in Venezuela”. 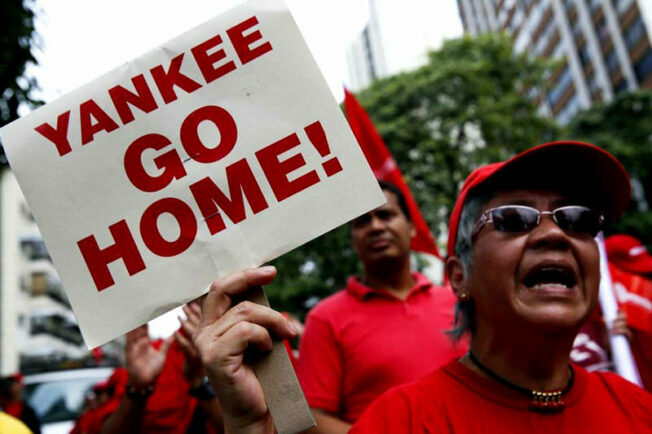 Venezuela is undoubtedly experiencing an unprecedented political and economic crisis. The response from much of the Left within the United States has largely been one of confusion and silence. Now is the time to come together, break the silence, and take action to resist the coup. ” Roberto Lovato, a writer and journalist based at the San Francisco Writers’ Grotto. ” 518 Valencia is a wheelchair accessible space. ” We will do our best to provide a reduced scent space and will designate a fragance-free seating area. Please support our efforts to support the participation of community members with chemical sensitivities by coming to the event as low- or no-scent as you are able. ” This event will be recorded and available for viewing remotely.